Receive parenting points for attending. 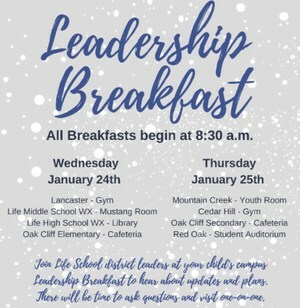 Note: Parents/legal guardians will receive parenting points once per semester for attending one Leadership Breakfast. However, parents/legal guardians are welcome to attend more than one breakfast if they have children at multiple campuses. 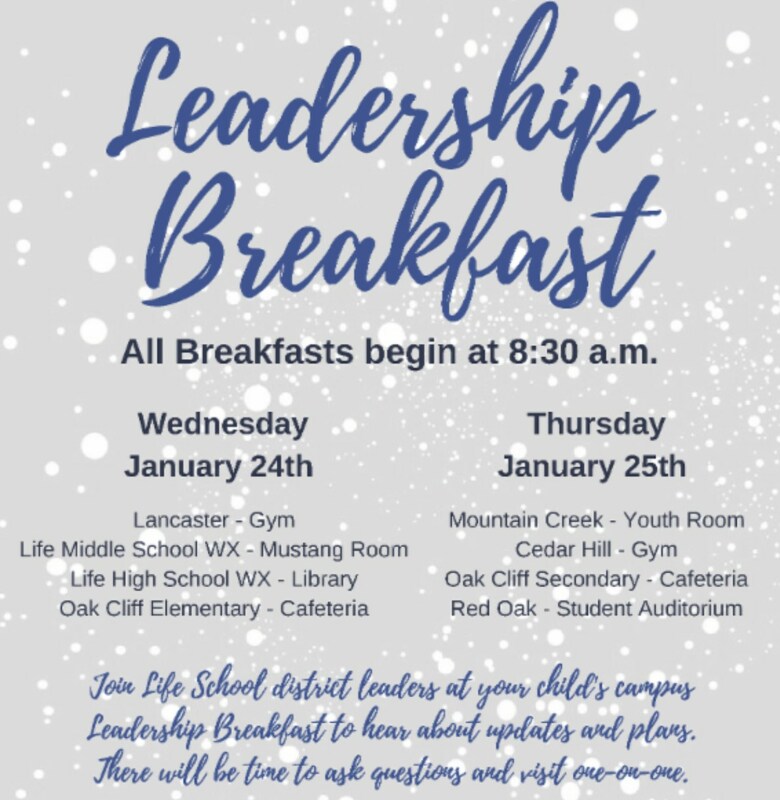 If you attend a campus breakfast other than where your child attends, please note your child's campus by your name so staff can apply your parenting points. Light breakfast snacks will be available for your enjoyment.